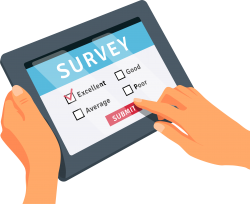 To improve the quality of the services and tools we offer, Aderly invites you to take part in an online survey about your digital usage and user experience. Aderly, Lyon Métropole and ONLYLYON are currently running an online survey about digital usage and user experience among entrepreneurs. The goal is to create a digital space that meets your expectations. For that, we need your help! The survey only takes 5 to 10 minutes and your answers will be strictly confidential and anonymous. We recommend you complete the survey in a single attempt. If you leave before completing the questionnaire, your answers will be erased and you will have to start again.